Register by Mail here: Click here to download a pdf of the registration form. Embassy Suites by Hilton Nashville SE Murfreesboro - NALS room block is now full. For reservations click here to reserve online. You may also call 1-800-EMBASSY or 615-890-4464 and ask for the NALS group rate. The Group Code is NAL. Available dates for the NALS rate are October 4-9, 2016, based on availability. Make your reservations now! Deadline for making room reservations at the NALS group rate is September 13, 2016, or whenever block is full. If reservations are made after this date, the room rate cannot be guaranteed. Holiday Inn Murfreesboro - Overflow Hotel - Just opened! Call the Front Desk at 615-751-5300 or go on line and reserve their rooms with Group Code NAL. For online reservations, click here to reserve online. Available dates for the NALS rate are October 4-10, 2016, based on availability. Make your reservations now! Deadline for making room reservations at the NALS group rate is September 20, 2016, or whenever block is full. If reservations are made after this date, the room rate cannot be guaranteed. Need a Roommate for Conference? Click here to access our Roommate Connection Forum. We know that traveling to NALS conferences can get expensive. In efforts to help our members, NALS proudly announces travel discounts with Jarmon Transportation, Delta Airlines, Southwest Airlines, Avis Rent-A Car, and Hertz Car Rental. Read below for more details. A discounted rate on ground transportation has been arranged with Jarmon Transportation, the official airport ground transportation shuttle service for Nashville International Airport. Rates will be $40 per person one-way and $60 per person round-trip. Click here to make reservations. Southwest Airlines will provide NALS Conference attendees a 2%—8% discount off airfare for the NALS 65th Annual Education Conference & National Forum in Murfreesboro, Tennessee. The valid travel dates for this discount are October 2-11 2016. Reservations are available via http://www.swabiz.com/flight/search-flight.html?cid=99231602. 50% Rapid Rewards Frequent Flyer bonus points for all flown segments booked via SWABIZ/SGS CID # 99231602. Please note: Discounts not applicable for bookings made within two weeks of travel date. Booking dates are April 1, 2016 - September 20, 2016. NALS has partnerships with AVIS Rent-A-Car and Hertz Car Rental to provide discounts to NALS members. Please visit the Member Discounts/Resources page for more details. NOTE: members must logged into their NALS profile or the discounts/resources page will not be visible. To access the schedule at this time, you must use our conference smartphone app or view our sessions listing. A commemorative lapel pin has been created for the NALS 65th Annual Education Conference & National Forum which will be held this October in Murfreesboro, Tennessee. There are a limited number of pins available, and they will be sold for $5 each on a first-come basis. Click here to order today. Refunds will be given (less a $50 processing fee) for cancellations received no later than August 1, 2016. No refunds will be granted for requests postmarked after that date. Refunds will not be given for no-shows. Substitutions will gladly be accepted prior to the conference! Only one (1) substitution is permitted per original registrant. Must be substituted for the original conference; no transfers to a future conference will be allowed. In an effort to be environmentally responsible, NALS is reducing the amount of paper we use at our conferences. Electronic session handouts will replace paper and will be accessible online before, during, and after the conference. Access the conference handouts here: NALS.org/Handouts16. Visit https://guidebook.com/g/nals2016/ to download the latest NALS Conference App! Lip sync battles have become a huge viral sensation thanks to popular segments on “The Tonight Show” and the “Lip Sync Battle” on SPIKE. Now the NALS Foundation is taking it to the next level with its very own Country Music Lip Sync Battle, hosted by the NALS Foundation Trustees! Not only do we encourage attendees to dress the part of their favorite country music icon, we also encourage attendees to come prepared to sync their hearts out in hysterically epic performances. The mic is off, the battle is on! Are you up for the challenge? Price includes dinner and a very entertaining show where YOU are the star! Dress Attire: Casual. Country-attire encouraged. We have filled the bus space for this event. Please do not send payment to NALS for this event. Experience a night to remember in Music City! Start the night off right by feasting on a down-home, tasty dinner at Jack’s BBQ—a locally owned eatery—and experience a drive-by tour of Nashville’s major attractions including the Parthenon, the Ryman Auditorium, the Country Music Hall of Fame and Museum, Riverfront Park, Bicentennial Park (including a breathtaking view of the Tennessee State Capitol building), Music Row, Schermerhorn Symphony Center, and much more. After your city tour and dinner, set off to enjoy some time at your leisure in the downtown area, where you can listen to all kinds of live music and visit the world famous honky-tonk bars. Live it up without worry, as a professional Gray Line driver will be on stand-by to give you a safe ride home at the end of the night. 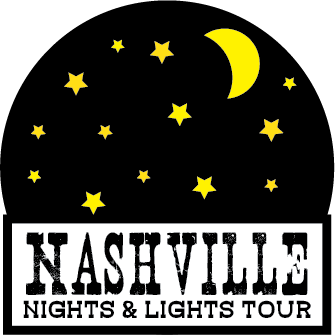 Price includes driver/guide, BBQ dinner at Jack’s BBQ (1 entrée, 2 sides, and 1 beverage), city tour of Nashville, and time on your own downtown. Driver gratuity not included in price. Vendors, your target market awaits! NALS Education Conference & National Forum offers attendees more CLE than any other conference dedicated to legal professionals. By offering such quality education, attendees are career driven and highly motivated—the ideal target market. NEW FEATURE: Vendors can now register (conference & ticketed lunches) and pay online by clicking 'Register' button at the top of this page. If there are any further questions, email me at communications@nals.org.